Hey guys I'm new here, and looking to get some help/feedback on this issue I'm having with Nikon. So here goes my story. As I'm shooting a bride's getting ready for her wedding my DF gives me this ERR message as she's strapping on her dress. The camera didn't fall it didn't get hit it's not a year old its well taken care of but suddenly stops working while i'm holding it up shooting. Later when i got home I checked the DF to realise that one of the bars of the curtain got dislodged both on the way inside and outside. So I sent the camera to Nikon as they are the only trained to service/repair it. I'm still under warranty and I believe this must be some malfunction or a mis-assembly problem since the camera got very little shutter count and is always kept in it's bag. When I hear back from technical service at Nikon they tell me I'm not covered with the warranty because the CCD got scratched (I suppose it's from the curtain breaking) and that any damaged cause by user voids the warranty and ask me to pay $1100 to fix it. Where did you buy the camera from? Have you tried contacting them to see if they will exchange it for you? Personally, I would get in touch with the service center and speak to a person over the phone and explain it to them. They should cover this, given the story you have told us. I can not see how that would not be covered. The more I hear the more I believe Nikon has a training problem with their phone/front line support. It really seems they do not understand camera's at all and are just looking at a list of covered items, and if it is not there, they say it's not covered. We all know (including the real Nikon techs) that area is grey. If all else fails: Go beserk & and escalate upwards. Nikon service is somewhat erratic at best. I've received warranty coverage for things that I shouldn't have (used equipment, when I told them upfront that it was) and other times like @PitchBlack mentioned they try to weasel out of warranty service. Example, Nikon wanted to do a full repair of my D700 (and charge accordingly) just to replace one of the rubber grips on the body, what a joke. That sounds ridiculous. So the sensor got scratched, it happened because the SHUTTER FAILED. Both were related so both should be fixed. It is crap like this that drives people to other manufacturers. I bought a 20mm f2.8 refurbished lens from Nikonusa.com two weeks ago when there was 2nd day air and 10% off - neat deal, huh? Seven days later, I checked and saw no movement at the website. The short story is this, I called and the order was just neglected, how was never explained. I was passed through 3 representatives who only frustrated me by never even trying to understand the 'issue'. I'm less confident of Nikonusa.com than ever. It was one of the worse consumer experiences I've had in a long time. If this was the only bubble I lived in to view the world and all I had to go on to when asked about cameras, there's no way I would recommend the company to anyone. Period. I really do not think this behavior is unusual. I have seen these strange warranty issues from major manufacturers , i.e., vehicles, and have experienced some of the very most bizarre pathways over the telephone, particularly with service providers. Maybe we are in a time of depersonalization, hiding behind the mask of a corporate identity. And, as I have also ordered items from large companies and never received any acknowledgement I understand the Nikon non-response. In my case the ISP I was using interrupted the communication with the seller's server and closed the window as if the order had been competed. So, the lack of responsibility in all of retail is pathetic, not just for Nikon. I had to trade in one of my vehicles for engine issues as well. The company wanted me to drive past the normal warranty to address the issue for "further" testing. Oil was mixing with gasoline or something like that, the defroster was not working properly even after the part was replaced due to a recall. I swapped the car for another brand and no issues yet in since 2011. Getting away from Detroit, and back to the original posting, did Nikon finally resolve this issue to your satisfaction? Don't mention Cars ..I have a leased ford Kuga Auto and below -3 deg C it will not go backwards.. Ford dealer says " you did not buy it from us and you don't own it ..go away"
Hah! It's Ford - what did you expect. The USA was the country that started the inprovement in customer service many years ago but in recent years has headed the race back to customer neglect. Customer service costs money and it seems they aren't making enough to be able to afford it. I once was made to wait 3/4 hour in Walmart and when I told my friend he said - It's Walmart - what did you expect! Nikon should try harder for sure. The UK is still good though. Now returning to photography. No manufacture makes a perfect camera, there is always that less than 1% that fails. Canon, Nikon, Sony, Pentax, it all happens. You just hope that the customer service is good to offset the camera failure. Or Found on Roadside Dead. I am curious about the necro post. The circumstances and Nikon's reaction to them are pretty weird. Or, 95 percent of Fords (I prefer Harleys) made since 1980 are still on the road. The rest made it home. A lot of the end user "experience" with service issues can be a result of the "boots on the ground". I developed an issue with the overdrive gear in the transmission in my primary sedan. It was well beyond its warranty and the fix cost was going to be somewhere between the national debt of Venezuela and the cost of my Nikon 800mm lens. My dealers Serivce Department Manager, went to bat for me and got the transmission rebuilt under some sort of super secret extended warranty (something about a batch of transmissions built with defective overdrive bands). They didn't know about it until he called up the manufacturer and emailed them pictures of the cooked parts and complained. I got lucky on a couple of levels. The dealer has the only manufacturer certified transmission tech for 3 states and they disassembled it to determine the fault. Most dealers would have to simply swap it. I have done a ton of business with them since '97 and most importantly I hand out really nice bottles of wine at Christmas to my Service Writer and the Service Dept Manager! My total cost on that fix was $175 for an oil change. Can't believe how old the original post was haha. I also have a bad warranty experience with LG and the Nexus 5x. It basically bricked itself twice during regular operation and it's a well known problem for LG phones, which is why I don't buy their phones anymore. They did repair it twice for free, mostly because enough people complained but they damaged my phone the first time and refused to take responsibility for it. I take good care of my devices and when I complained they refused all responsibility. Luckily enough people stirred up a storm and a class action lawsuit was started and the full purchase price was refunded. Not a good customer experience at all and each time it was sent in I was without a phone for a month. I should have done that when Sony screwed me with the Fragile Z5 Premium that blows up when not used on the original charger. There's always a risk when you use non-factory battery chargers. Sometimes low end chargers don't "sense" the voltage from the phone and end up overcharging the phone. Or, a very high voltage rated charger may not know that your phone is a low voltage device and push a high voltage into a low voltage phone. 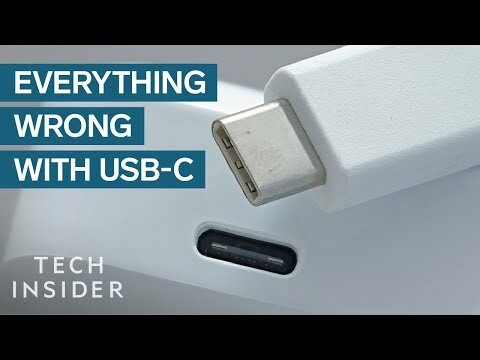 There was a big issue with early USB-C devices because there were multiple versions and standards of USB-C chargers and they may not be cross compatible. Yup, my rule #1 is to never cheap out on chargers, batteries and power bricks. Cheap ones tend to have poor internal build quality (caps, transistors etc). Definitely. Case in point, the Apple USB-C chargers are rated at 87 watts and is definitely way more than any phone can handle. Even though you're using a factory Apple charger, early USB-C phones couldn't tell the difference and were fried. Similarly, the early USB-C cables were also a mess and many weren't certified. It's quite a complicated mess, even though USB-C is supposed to be "universal". Don't even get started on USB-C and audio, there's actually 2 standards there too. Yeah, USB-C is a mess with far to many different versions, 3.0/3.1 G1, 3.1G2, TB3, charging only cables, cables that wont charge. I have USB charger outlets everywhere - in my car, in my wall sockets and even in my sofas! To make an outlet to a standard is to fix the mechanical dimensions to that electrical standard. Sure you can get high output USB's but that should not affect the voltage at the connector, only the max current it can pass if loaded with a device that is designed to take that current - lighter loads are unaffected. Anything else is insanity. Sony's Z5 Premium charging electronics is fragile. This video explains it better than I can. It's not the phones, it's a whole mess of potentially noncompliant chargers, charging cables and possibly phones that don't know any better. Basically a perfect storm for charging compatibility. iPhones had similar issues when they first came out with Lightning cables because of issues with poor quality stuff. They still do with non-mifi compliant cables.